Perhaps not as well-known as other Greek cities, Zante (aka Zakynthos) off the coast of the Ionian Sea is a traveler’s paradise. Home to magnificent luxury villas, Zakynthos boasts jaw-dropping scenery, a rich history, and colorful culture. The island has some of the best beaches in all of Greece, the perfect destination for your holiday this year. There are many ways to get here – by plane from Athens which will take you about 45 minutes or via ferry from Piraeus which takes about 1 hour. Once you’ve arrived, the first order of business is to check in at a luxury villa in Zakynthos. 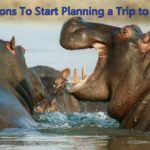 Why choose villa instead of the usual hotel or inn? Because staying here gives you a different level of comfort, privacy, and peace which you can’t get anywhere else. These Zante villas will serve as your Greek haven, offering an all-in service that will make your trip easy, enjoyable, and utterly unforgettable. Need more convincing? 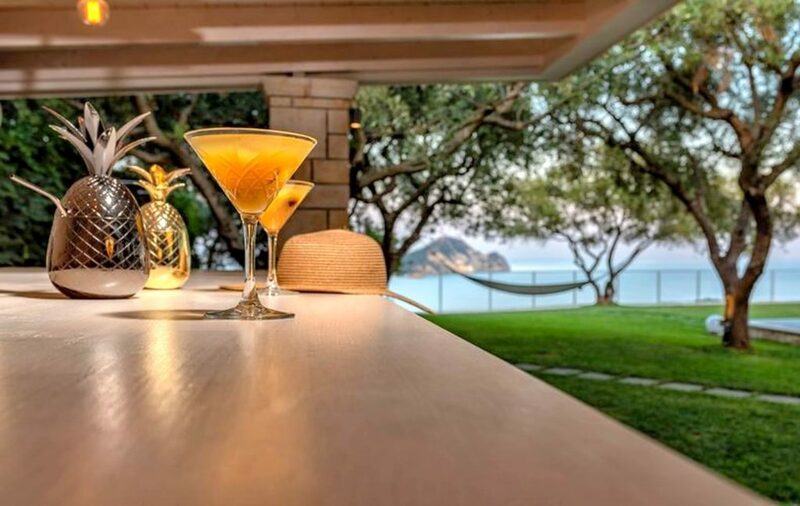 We’ve listed down below the top four reasons why a luxury villa in the Greek island of Zakynthos is the ultimate venue for your 2019 getaway. In contrast to staying at hotels with confined and limited spaces and minimal room to relax, a villa in Zakynthos provides sleek and spacious areas where you can move around to freely enjoy the place and actually do fun things. The rooms are airy and comfy, equipped with modern amenities like WI-FI, your own vault, a television, and air conditioning. Big windows with the view of the turquoise waters of the Ionian Sea will greet you as you wake up in the morning. Plus, there’s a spot outside with lush and refreshing greens where you can savor the Mediterranean sun and drink in the beauty this side of Greece has to offer. There’s also a roomy kitchen where you can prepare your own meal, an airy bar beside the pool well-stocked with wine and spirits where you can have an in-house party or barbeque, and a cozy living room to relax in when you think you’ve had enough of the outdoors. 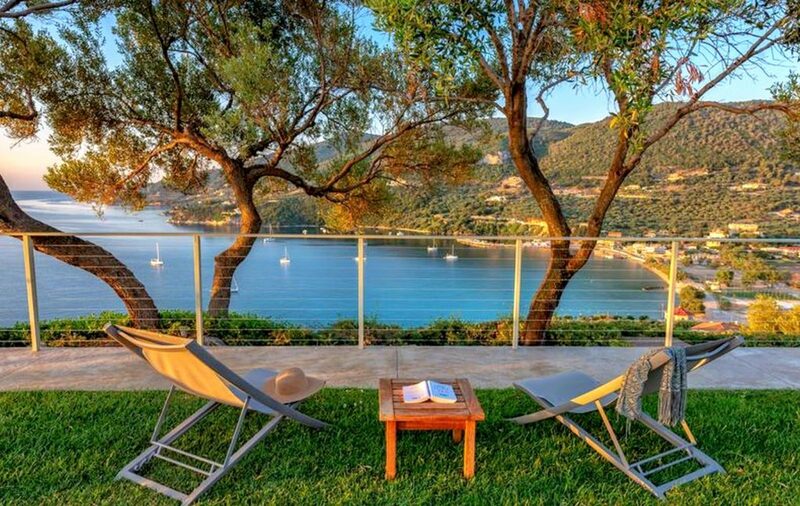 Your needs are top priority when staying at a luxury villa in the Greek islands — one of the indicators that you are staying at a world-class accommodation. The staff are there to provide topnotch assistance whenever you need it. They will even go out of the way to ensure that you’re getting value for your money that you rightfully deserve. There’s on-demand services for your pleasure like an in-house chef to cook you the most sumptuous local cuisines, spa amenities, wellness activities like yoga and Pilates, as well as warm smiles and delicious welcome goodies upon arrival. Unlike hotels where you wait to be served, a villa in Zante puts you first. You can expect prompt actions for needs and emergencies, all with personal touch. If you don’t feel like going out at some point during your holiday, your villa in Zante is a wonderful place to stay at without getting bored. Have a picnic of the most delicious authentic Greek dishes at an olive grove inside the villa premises or have some cooling laps at the Olympic-size swimming pool, get a nice tan at one of the comfortable lounge chairs, play a round of tennis at the villa’s private court, or play with the kids (if you’re with some) at the playground. You’ll have lots of options to do some sun up ‘til sundown. 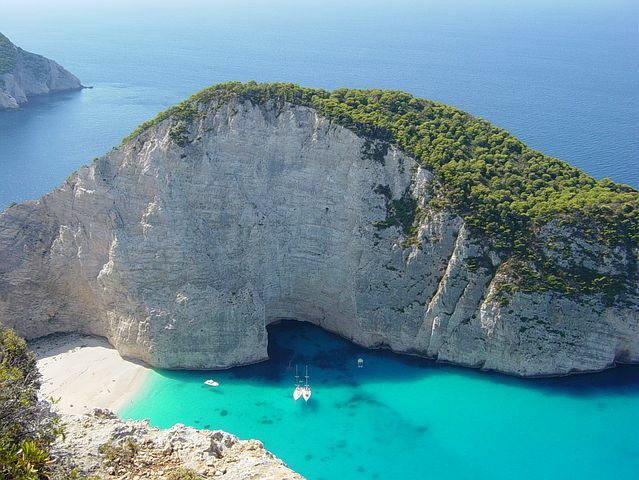 And once wanderlust and your need to explore kick in, you can ask your villa for a day of excursion at the most amazing spots in Zante including Shipwreck Beach, the Blue Caves, and Marathonisi Island where you can swim with the resident caretta-caretta turtles. 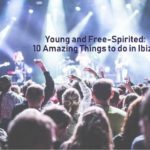 Do all these while aboard a luxurious yacht loaded with food, drinks, and a whole lot of fun. 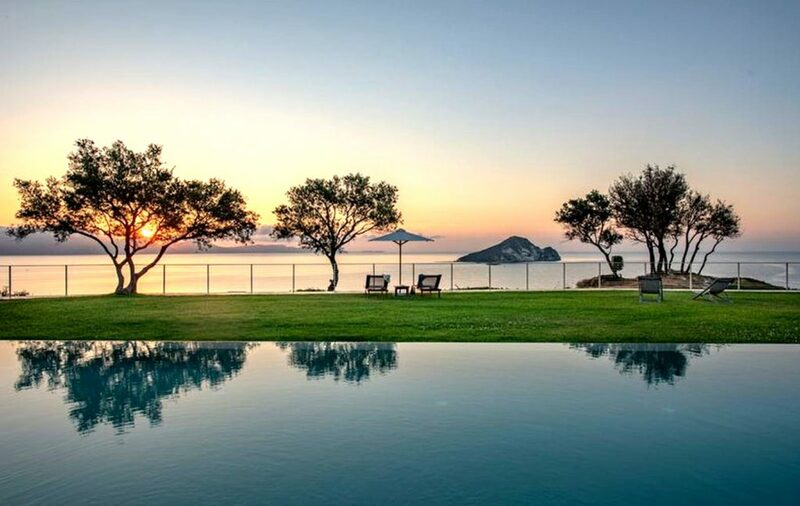 Away from pedestrians and holidaymakers that crowd hotels and inns, a luxury villa in Zante offer peace and quiet, just how a vacation venue should be. The whole premises is gated and fenced to ensure security but as to not block the wonderful view. The villa is tucked comfortably away from the hustle and bustle of the town but is still conveniently near whenever you feel like going for a romantic date night or for some dancing and partying. You get to watch as the sun sets without obstruction, getting that million-dollar shot for all your social media followers to see. Have the ultimate star gazing experience without any light pollution for the perfect view of the Milky Way. Lastly, you get to enjoy laughter and merrymaking without worrying about disturbing others by making too much noise. There’s also a guard on duty for 24/7 monitoring. Sleeping soundly at night won’t ever be a problem when staying at a villa in Zakynthos. 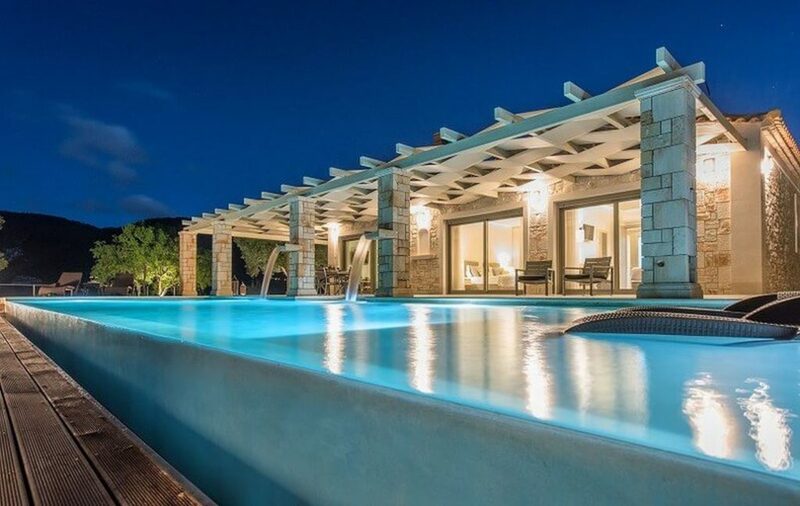 With so many great reasons to rent a luxury villa in Zante, what are you waiting for?